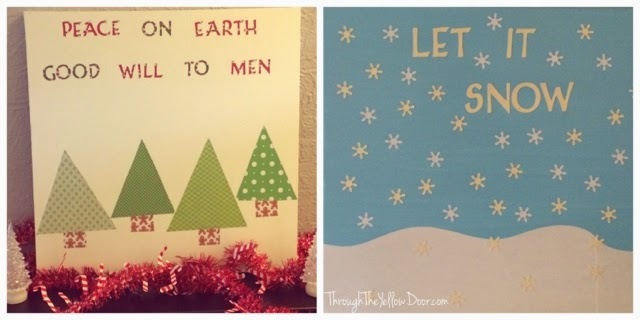 This time of year I get a little ambitious, wanting to decorate every nook and cranny of the house for Christmas. But with everything else happening day to day, it's impossible. Not to mention fiscally irresponsible due to our limited budget. However, as any good crafter, I have a lot of things just sitting around in my craft supply stockpile that I can use to make cute decorations! 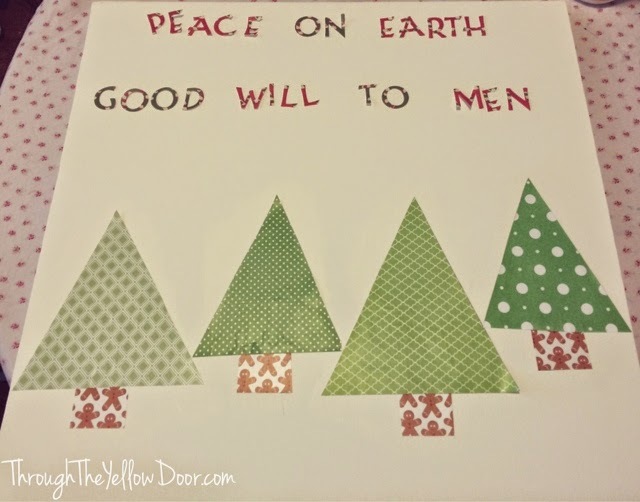 The first project I worked on this year was a piece of canvas using scrapbook paper and Mod Podge. I already had some random sized canvases lying around, so I worked with those. 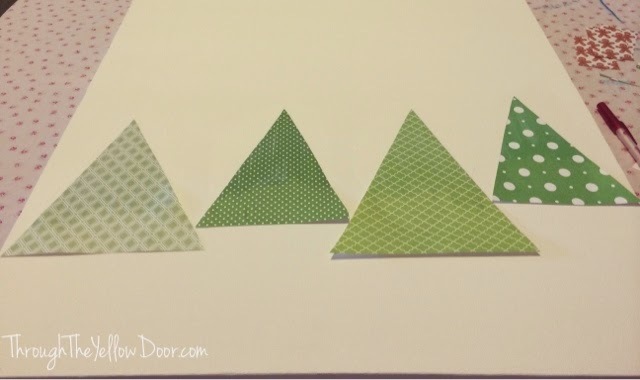 For the first one, I simply cut out some different sized triangles out of green scrapbook paper to act as Christmas trees. 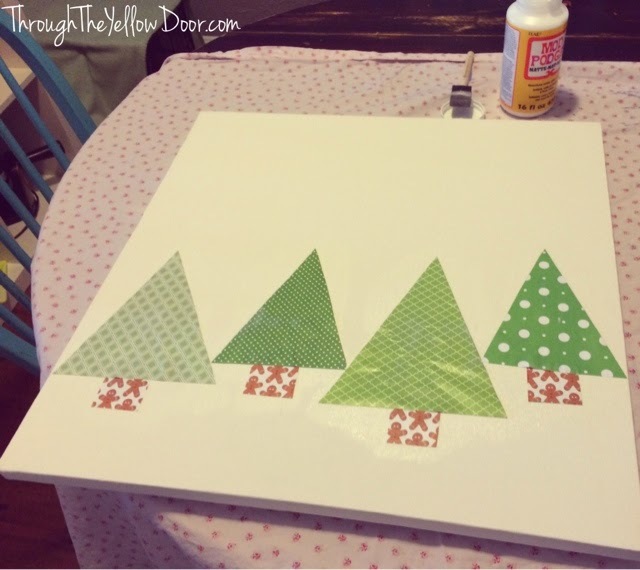 I positioned the trees on the canvas to see if I liked the spacing. 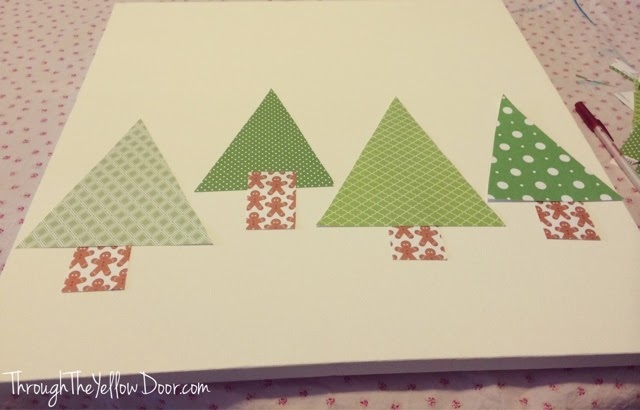 Then, I cut out some squares for the tree stumps and added them to the triangle trees. Once I was sure I was happy with the layout, I glued the trees and stumps down with Mod Podge. 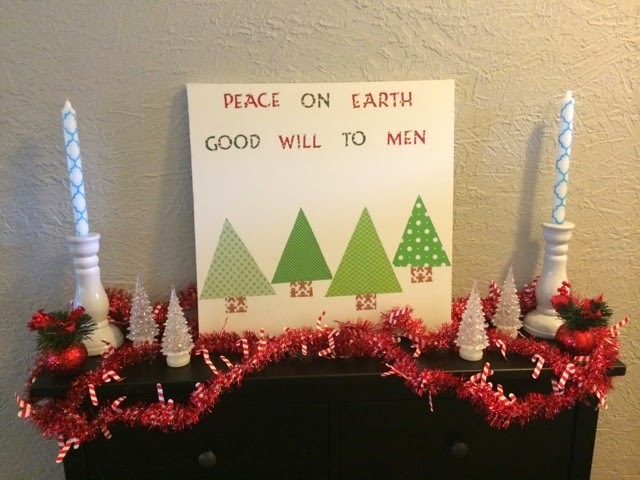 Next, I used my Cricut machine to cut out some Christmas carol lyrics "Peace on Earth, good will to men". I applied the lyrics to the canvas using Mod Podge. 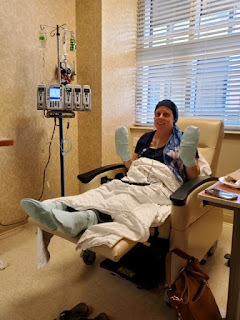 That's it, easy and quick and it didn't cost me anything since I already had all the supplies on hand! Here it is displayed in our entryway. 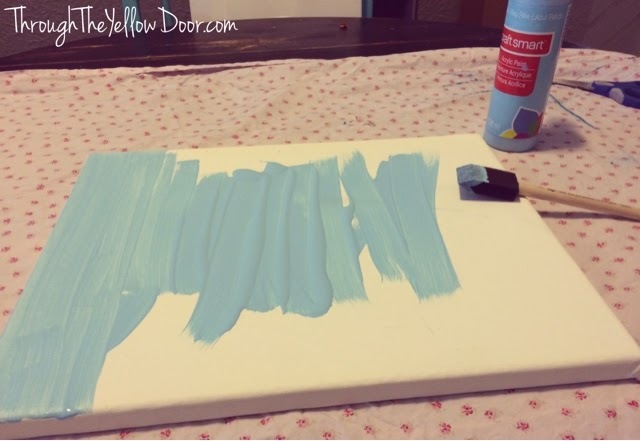 For my second piece of art I used a much smaller canvas (because that's what I had available) and painted it a light blue. 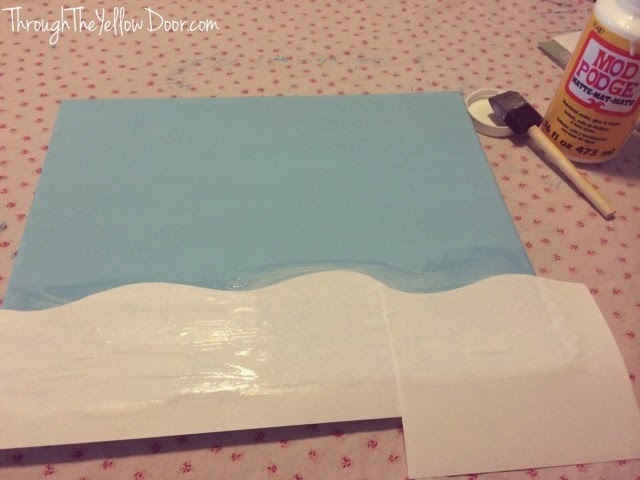 After the paint was dry, I glued some white paper to the bottom to look like a snowy hill with Mod Podge. I didn't worry about bubbles or imperfections because I figured that would make it look more like a snowy landscape. 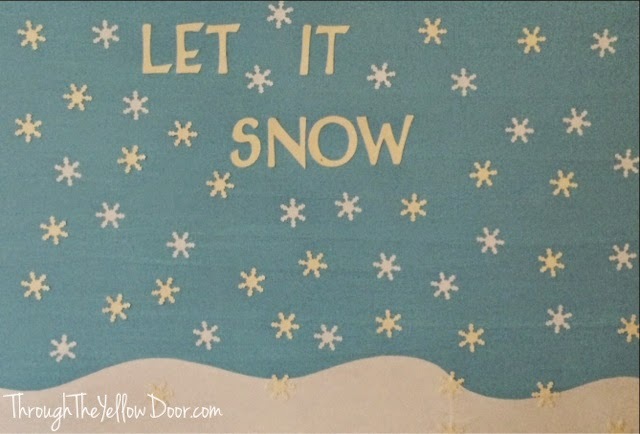 Next, I cut out some snowflakes, using a paper punch and glued them onto the canvas. 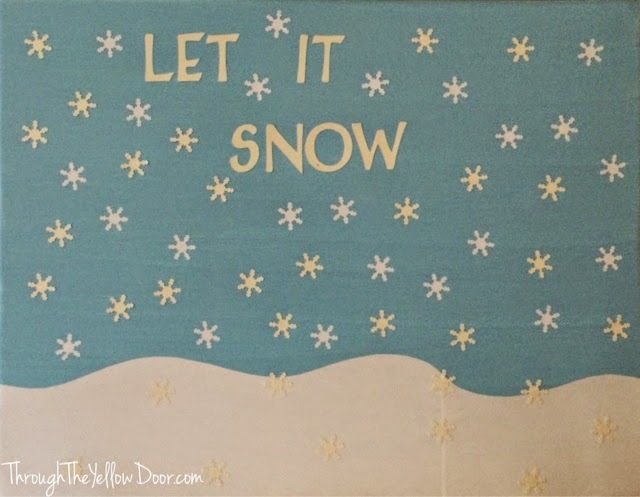 Finally, I used the Cricut machine to cut out the words "let it snow" and applied it to the canvas with Mod Podge. I haven't decided where I will put this little one yet, but it's super adorable and I love it!